1). 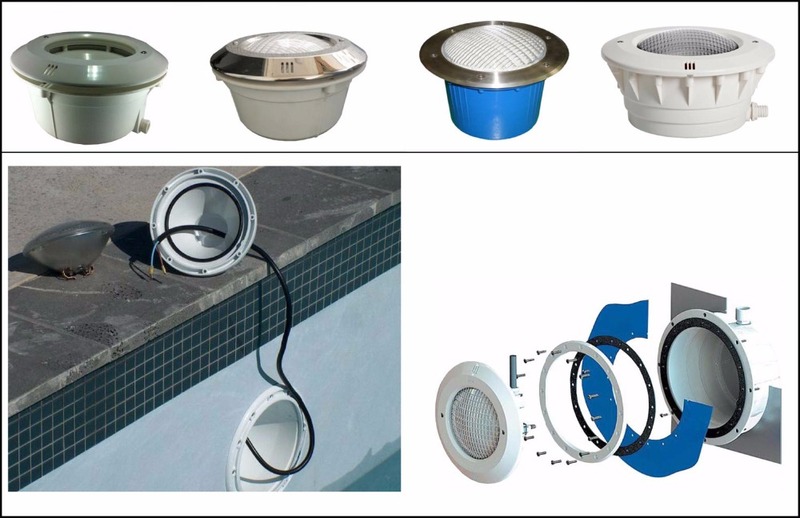 It fits your old Poolhousing(niche). 2). 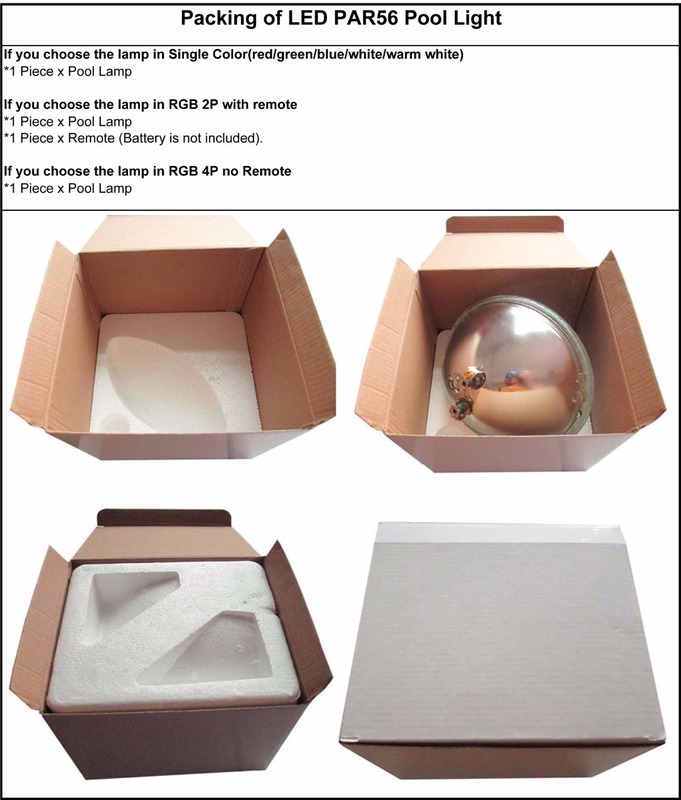 It is colorful to replace Halogen PAR56 Bulb which is only in yellow color. 3). It is much more Energy Saving. 4). 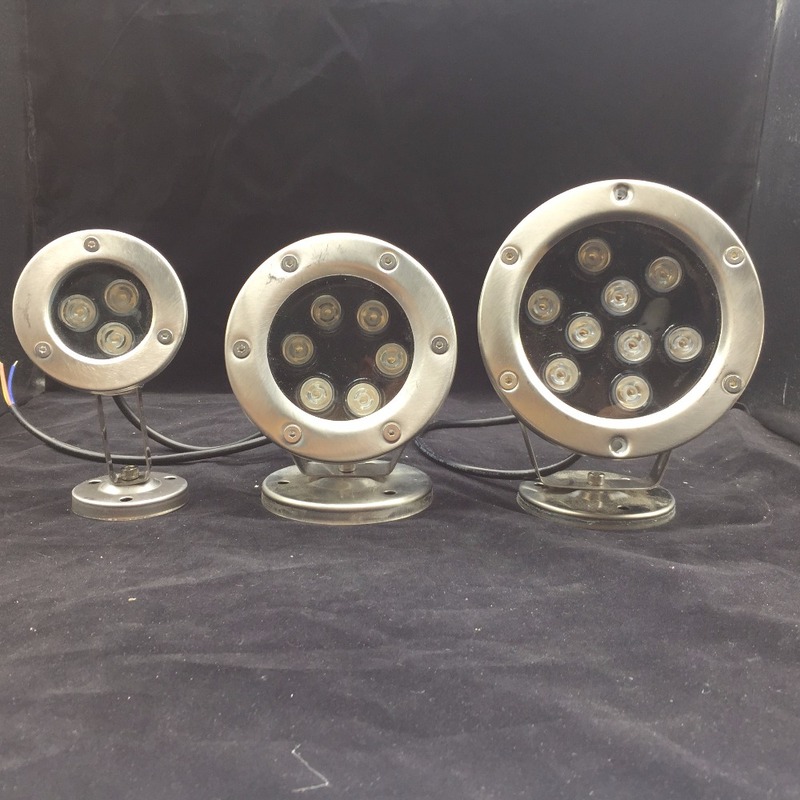 Our Lamp can work with AC12V and DC12V at the same time. 1). 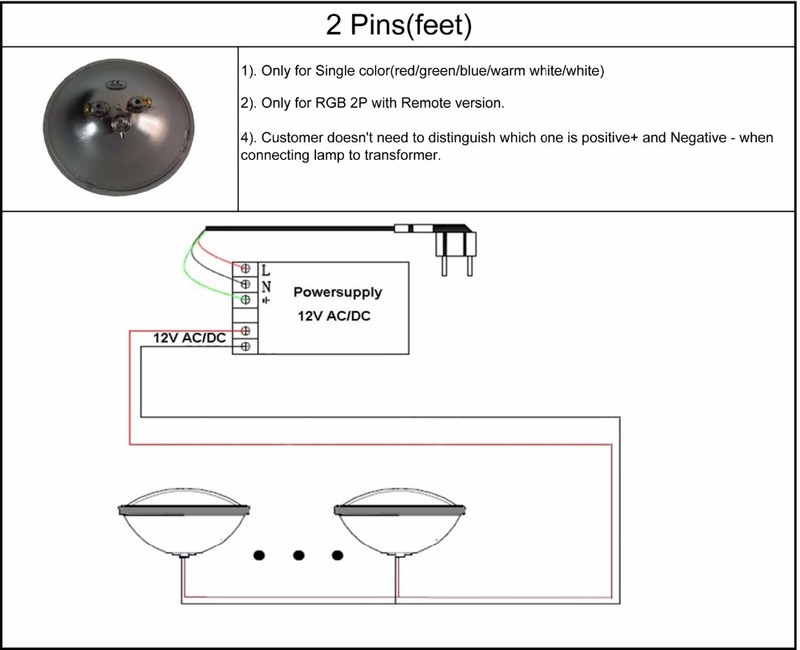 RGB 2P with Remote, means this lamp is in RGB color with 2 connectors(feet), Controlled by remote which is included on price. One lamp with one remote, but You can use one remote to control ALL Lamps. 2). RGB 4P no Remote, means this lamp is in RGB color with 4 connectors(feet), but controlled by External RGB controller which doesn\'t included. 3). 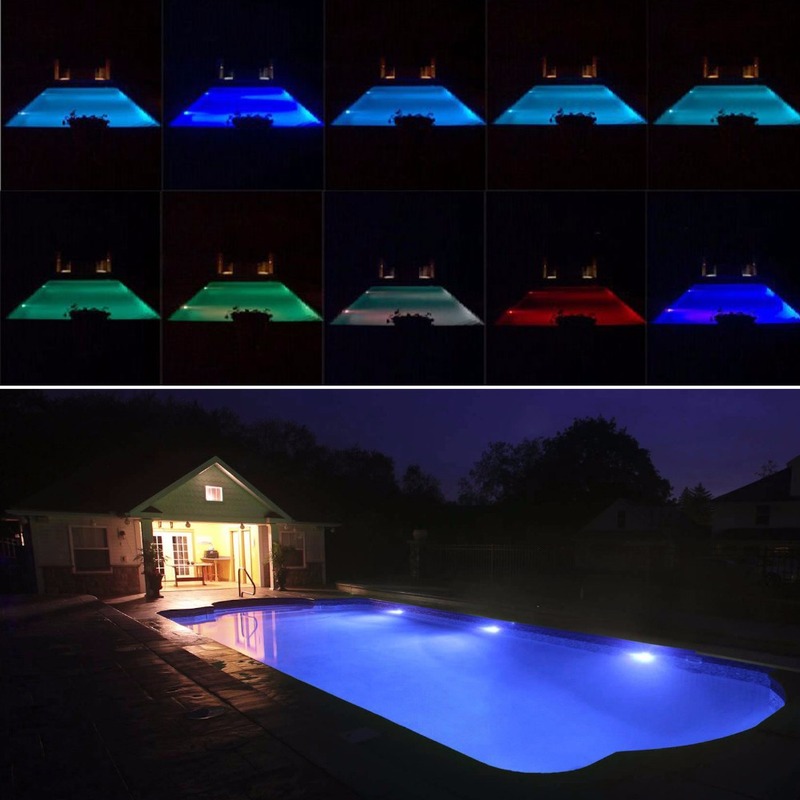 If You plan to install several piece RGB Lamp in the same pool, Better for you to use AC12V transformer, because only it can make lamps Synchronous(showing the same color or mode all the time). But, if you just install one piece, You can use DC12V transformer, because it is cheaper than AC12V type. 4). 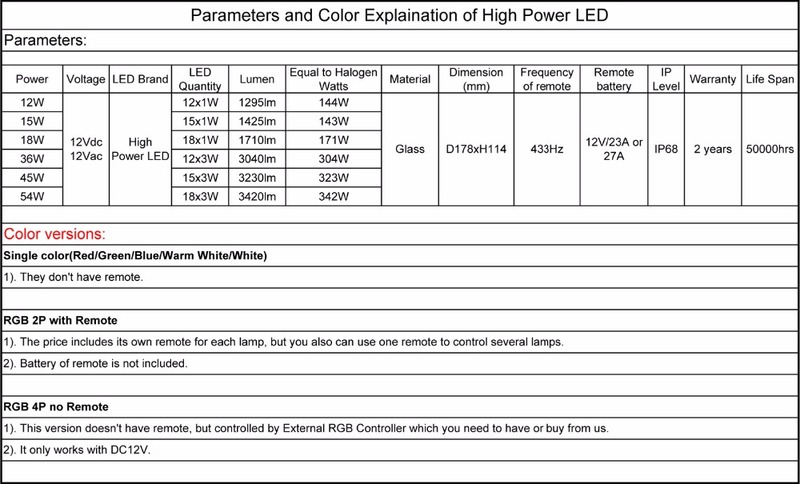 You need to add DC12V transformer if you plan to connect External RGB Controlling System for several RGB Lamps. 5). 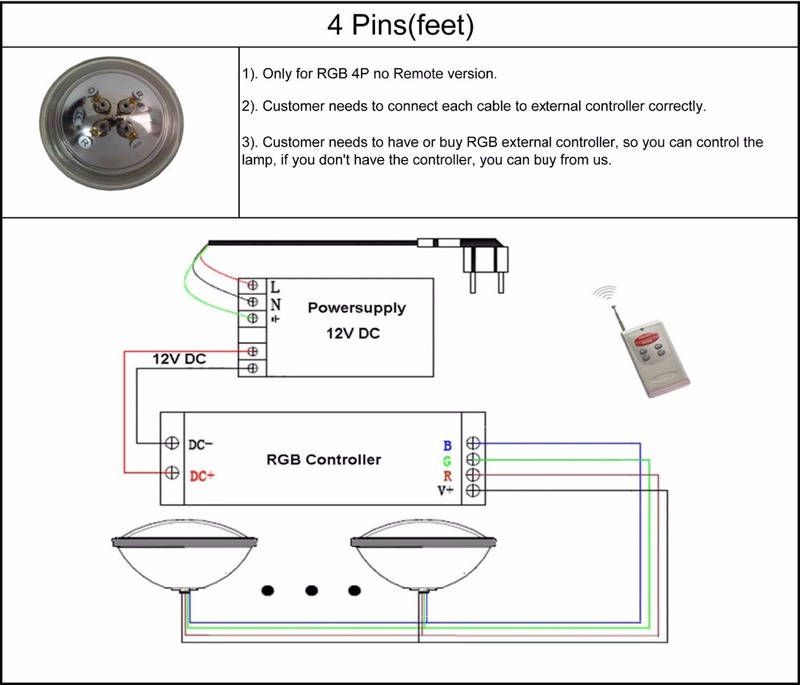 RGB 2P with Remote has Memory and Switch ON/OFF functions. Memory, means the lamp can remenber its last color when it was off, and starts on the same color when it is on next time, but only for turning the lamp off by remote instead of switch, for example, right now, the lamps shows Blue color, you turn it off by remote and go travel for a week, and turn it on by remote after back, the lamp will start from Blue color. Switch ON/FF, It is different from remote, for example, the lamp shows in Blue color now, You turn it off by switch instead of remote, and turn it on by switch, it will start from other color which is next to Blue color. 1). Battery is not included, it needs 12V, 23A/27A, Size D1xH2.58cm. 2). You can let the lamp stays on ONE color by pressing buttom"MODE" on remote, for example, on static state Blue. 3). Can turn the lamp ON/OFF. 4). Can adjus Brightness and Color Changing Speed of lamp. Connecting to a safety transformer is all that is needed to install a Goldture PAR56 lamp(savings in labour and materials).